African hair is very delicate, easily gets dry and breaks easily: hair increases by a few inches every month but length is not maintained because it breaks off. This means that the only way to grow longer hair is to maintain this length by preventing breakage. The most delicate parts of the hair are the ends and they have to be protected from breaking. Damage from excessive chemicals and/or heat. What this means is that for your hair to grow, you have to maintain a good moisture-protein balance, cut those split ends and avoid excessive chemicals and direct heat. Relax. If your hair is relaxed, you need a relaxer treatment not less than every 8 weeks. It is not a good practice to retouch your new growth earlier than 8 weeks. This is so that your hair can rest between relaxers. It also results in a proper demarcation between natural and relaxed hair to avoid touching previously relaxed hair. From personal experience, I wouldn’t recommend that you went beyond 12 16 weeks because it can result in serious breakage if you don’t know how to handle the different textures between the previously relaxed hair and the new incoming hair. I usually only do 8 12 – 16 weeks but if you can stretch your relaxer treatments for more than 8 weeks, it’s better for your hair. 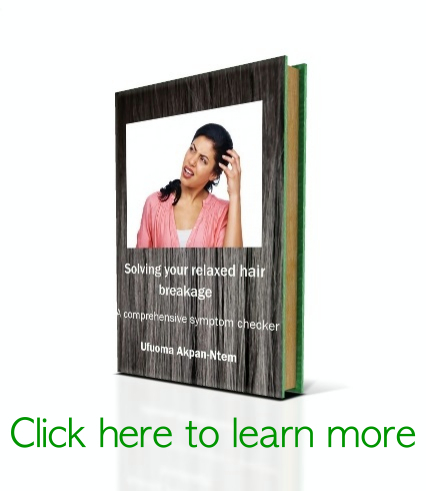 If you’re stretching beyond 8 weeks, deep conditioning frequently to soften new growth is important. If it’s still breaking, relax your hair or use a low-manipulation style like braids, weaves, twists, etc but ensure it’s not too tight. Do not comb through your hair while relaxing: use the back of the comb and do not relax previously relaxed hair because this damages the hair. You could relax your hair at home but I prefer to let a professional do it. Tell the stylist what your needs are before she commences. I think it’s better to use lye relaxers because they are less drying to the hair than non-lye relaxers. They burn the scalp so it is important to use a protectant on the scalp and to protect previously relaxed hair before treatment. Some people can’t tolerate lye relaxers so if you’re one of them, stick with no-lye relaxers. Prepoo. This means doing a form of treatment before shampooing. You can use oils (e.g. amla oil, coconut oil, olive oil, etc) and/or a protein conditioner. Prepoo with heat for about 15-30 minutes. Hair is made up of protein and protein conditioners help to maintain the structural integrity of hair and stop breakage. Too much of it though can make hair too hard. Shampoo. I never knew that most commercial shampoos contain sodium lauryl sulphate (SLS) and ammonium lauryl sulphate which are very drying to the hair. It’s best to wash hair with a conditioning shampoo which is SLS-free. It’s also important to use a clarifying shampoo whenever you feel there is build-up on the hair. Co-washing. This involves skipping the shampoo stage and rinsing hair with water and a rinse-out conditioner. Co-washing is good if you don’t use too much products on your hair and especially if you don’t use silicone-containing products. Silicones usually end with ‘-cone’, may be non-water soluble (e.g. dimethicone) or water soluble (e.g. dimethicone copolyol), tend to build up after some time giving your hair a sticky feeling. Deep condition. This is so important for the hair to be properly moisturized. It is important to look for a deep conditioner which contains panthenol, fatty alcohol derivatives (cetyl alcohol, etc), hydrolyzed wheat protein, an essential oil and glycerin. If it doesn’t have oils, add them and use your own mix. Deep condition with heat for 15-30 minutes to ensure absorption of the conditioner. You can either shampoo before deep conditioning or deep condition on dry hair and follow up with a co-wash. It’s been really difficult finding a deep conditioner which contains all of the above and gives great slip. (Slip is the ease/smoothness which a comb passes through the hair after conditioning). Most conditioners and moisturizers contain silicone derivatives which do not moisturize but coat the hair and help to give it slip. If it is possible to avoid them, do. Otherwise, use a clarifying shampoo when you feel build-up. It is good to use a detangling comb or any large seamless comb to detangle when washing out the deep conditioner. Rinse with cold water to seal in the conditioner. Leave-in conditioner. This is a very important step. Use a moderate amount of this. They usually come in liquid or cream forms and can be protein-based, moisture-based or balanced. Massage it into the hair. They can also sometimes double as moisturizers. Serums. These help to prevent frizziness and may also serve as heat protectants. They are usually silicone-derivatives although it is possible to find a few which are not. Drying. The best way is to air dry. It takes time but this is the healthiest way to dry hair because heat can be damaging to hair. Another option is to roller set. 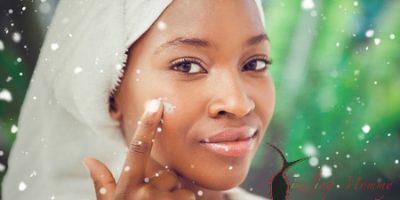 Use a good setting lotion or foam which has heat protection. You could also use a hairdryer or do a wrap set. Before using a hairdryer, hair should be a little dry. After blowdrying, use cold air to seal in the hair cuticle. The best hairdryers are ionic and are made with tourmaline, titanium, ceramic or a combination. Styling. The most protective styling method is to hide the ends (e.g. putting it in a bun). Don’t make your bun too tight: it can lead to thinning of the hairline. You can also do low manipulation styles like weaves, braids, etc. Avoid heat as much as possible but if you must use an iron, it should be ionic and made of tourmaline, titanium and/or ceramic. Post-styling. This involves moisturizing and then sealing with an oil 1-2 times daily. The best way of maintaining length is to moisturize it in sections, seal in the moisture with oil and roll it up in a bun to prevent dryness of hair ends. Moisturizers contain water as their first ingredient and they may or may not contain proteins. Oils don’t moisturize: they only help to lock in the moisture. If hair has been flat ironed or in a roller set and you want to maintain your curls, mist hair lightly with a spray moisturizer and apply a little oil. Clarify monthly or as required. On clarifying days, there is no need to prepoo. Wash first with a clarifying shampoo, use a protein conditioner with heat for 15-30 minutes and follow with a deep conditioner for 15-30 minutes. If you don’t have the time, just mix the two and condition with heat for 15-30 minutes. Style as normal. If you live in an area where the water is hard or you swim often, you might need a chelating shampoo. Use a silk scarf, bonnet or pillow at night. This is to prevent loss of moisture from the hair thus preventing breakage. If your hair continually feels dry in spite of adequate conditioning and moisturizing, it might not be maintaining moisture very well. It might be important to use a porosity control conditioner before deep conditioning. Porosity treatments help hair to absorb more moisture. Always read product ingredients on the packaging of anything you are about to purchase. Avoid products containing petrolatum (petroleum jelly), mineral oil (paraffinum liquidum) and their derivatives (e.g. isopropyl myristate is a petroleum derivative. Hollywood beauty olive oil crème has this as its second ingredient!). These tend to block the pores and prevent or slow down hair growth. If you’re drying your hair at home and you want your hair to be smooth, use a t-shirt to dry the excess water. Don’t comb your hair too much. Once a day, in the morning is adequate. At night, just finger comb. If you have split ends, get a trim. If your ends are healthy, just trim lightly when you retouch your new growth. If you trim too much of the ends off , you won’t notice the growth! Are serums used on relaxed hair? I thought they were used only on human hair weaves. I recently purchased Vitale Olive oil serum. it is so thick and it’s silicone-based. It’s so sticky. I was told to use it once a week on my weave. I wish i hadn’t spent that money on it. What else can I used it for. I never blow dry or flat iron. I only roller-set. If only this hair will grow without breaking. sigh. Yes serums are great on relaxed hair. They help to keep hair smooth especially when air drying. Sorry about your breakage: even I struggle with breakage. Btw, it’s a good thing u don’t blow dry or flat iron. Am on a personal 1 year no-heat challenge myself: no heat till Christmas! Talking of Hollywood beauty olive creme – my hair likes this moisturizer a lot. I intend to use up all the one I have before reverting to ORS carrot oil. Hi,I started my hair journey in Sept 2012,after a bad hair do that finished my hairline,I have carried my natural hair ever since,however my greatest challenges are the terms,I know of retouching,shampooing. & conditioning,now I hearing terms like pre poo ,deep conditioning,protein conditioning,co wash,sealing etc pls what do they mean,what items are used for these processes,& when & how often do I do them? My darling, these terms are confusing I know. You already have the basics.. Deep conditioning is basically the same thing as conditioning… only that you leave in the conditioner for a longer time. You should deep condition your hair at least once a week. Protein conditioning is the same thing as conditioning only that you use a conditioner that has protein. To know the difference between protein and moisturizing conditioners, please read The difference between moisturizing and protein conditioners. Sealing is simply applying an oil on your hair AFTER moisturizing. You need to moisturize your hair the same way you moisturize your body. I hope that I’ve helped you clarify these terms. Hi, just starting my hair journey. It’s interesting to me how much I’ve learnt in the past week from blogs like yours about haircare; I don’t think even my stylist knows half of this lol. – pply a hair growth aid e.g aloe vera juice; essential oils (e.g lavender, rosemary, cedar wood, peppermint, thyme, etc); Jamaican black castor oil every evening. I have a big question that has been bothering me. Can I relax my short natural hair, it’s like 4 inches. what steps can I do to achieve this? will it spoil the hair. I discovered that my hair grows faster when relaxed but since I started this natural journey the growing has decreased. please advise. and what products can i buy if I want to relax or texlax and then the maintenance afterwards. Hi Yetty. Relaxing your hair at 4 inches is not bad. Take note that your hair is not going to be the same again. Also it is important to get an accurate line of new growth when your hair is due for a retouch. I recommend ORS Relaxer. Maintenance products needed – shampoo, hair oil, conditioner and hair moisturizer. Hi Doc. Thanks for the reply. I actually went to a professional who used ORS relaxer for me yesterday. I want to now do the maintenance myself. Do I moisturise everyday, use leave in conditioner? Should I Deep condition with Mayonnaise or which one should I use?, 1ce every week, hot oil treat once in a month. I will follow How to grow relaxed black hair 1, 2 , 3. in your blog. Shampoo every 2 weeeks. oil the hair every morning and night? Hi Yetty. Hope you liked the ORS? Cleanse your hair every week or every 2 weeks. You can use the hair mayonnaise once a month. For the rest of the month, use a moisturizing conditioner. You can apply a leave-in conditioner after rinsing out your deep conditioner. Yes I did. I liked it! Thank you. I will follow all the steps here. Do u tink a Nigerian’s hair can grow 2-4inches per month?